Black Friday and Cyber Monday are officially in the rear view mirror, but the deals keep on coming. To keep the momentum going, Microsoft today kicks off its annual 12 days of deals event, which is exactly as it sounds—daily deals on different items from now until December 16 at the Microsoft Store. Today's focus is on Intel PCs, the vast majority of which are laptops and 2-in-1 devices. Microsoft's pitch is that you can save up to $1,000 on select computers, though there's just one system that is marked down by a grand. It's the Alienware 15 Touch Signature Edition, today priced at $1,497 instead of $2,499. 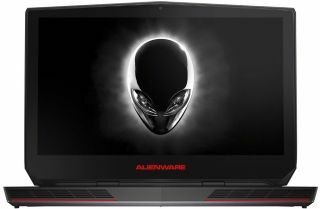 The Alienware features an Intel Core i7-6700HQ processor paired with a last-generation Nvidia GeForce GTX 970M GPU, which is a bit of a buzz kill since there are systems in this price range rocking a GeForce 10 series GPU. Other specs include a 15.6-inch 4K IPS touch display, 16GB of DDR4-2133 RAM, 256GB SSD, 1TB HDD (7,200 RPM), three USB 3.0 ports, a single USB 3.1 Type-C port, HDMI output, GbE LAN, an Alienware Graphics Amplifier port for connecting Alienware's external graphics card dock, 802.11ac Wi-Fi, Bluetooth 4.1, 2.1MP webcam, and Windows 10 Home 64-bit. Microsoft has pegged as its "best deal" an HP Pavilion x360 Convertible, which is also a Signature Edition PC (basically means there's no third-party junkware added by the manufacturer). You have to add the system to your virtual cart to see the price, but we took the liberty of doing that for you—spoiler, it's $479, down from $799. That gets you a 15.6-inch Full HD touchscreen display powered by an Intel Core i5-7200U processor (Kaby Lake), 8GB of RAM, and 1TB hard drive. Day 2: Save $100 on Lenovo Ideapad 110, only $199 on Tuesday, Dec. 6. In-Store: Biggest savings of the year on FitBit Blaze. Day 3: Save 50 percent on select Xbox One games on Wednesday, Dec. 7. In-Store: $50 Microsoft Store gift card with the purchase of a 12-month subscription with Groove Music. Day 4: Save $250 on Surface Core M devices on Thursday, Dec. 8. In-Store: Get a $25 Microsoft Store gift card with the purchase of a 12-month subscription with Xbox Live Gold. Day 5: Save up to 70 percent on select Windows tablets on Friday, Dec. 9. In-Store: Lumia 650 for only $79—a $120 savings. Day 6: Save up to $250 on the Windows Premium Collection on Saturday, Dec. 10. Biggest savings of the year on Office 365 Home. Day 7: Get a $25 Microsoft Store gift card/code with the purchase of select Xbox Wireless Controllers on Sunday, Dec. 11. In-Store: Save $120 on select Xbox One consoles (500GB). Day 8: Save $50 and get two free select games with select Xbox One consoles on Monday, Dec. 12. In-Store: If you’re one of the first customers in line at your local Microsoft Store, you can get a $25 Microsoft Store gift card. Day 9: Get a $100 Microsoft Store gift card/code with the purchase of HTC Vive or Oculus Rift on Tuesday, Dec. 13. In-Store: Biggest savings of the year on FitBit Charge HR. Day 10: Save up to $1,000 on select Intel powered gaming PCs on Wednesday, Dec. 14. In-Store: You can also get Quantum Break, Halo 5 and Forza Motorsport 6 for only $19.99. Day 11: Save up to 40 percent on select Dell PCs on Thursday, Dec. 15. In-Store: Save $150 on an Acer Jade Primo. Day 12: Get a type cover with any Surface Pro 4 for up to $159.99 in savings, available on Friday, Dec. 16. In-Store: If you’re one of the first customers in line at your local Microsoft Store that day you can get a $50 Microsoft Store gift card. You can visit the Microsoft Store to see what other systems are for sale.